A sunshiney day and, a sunshine quilt that is finished. 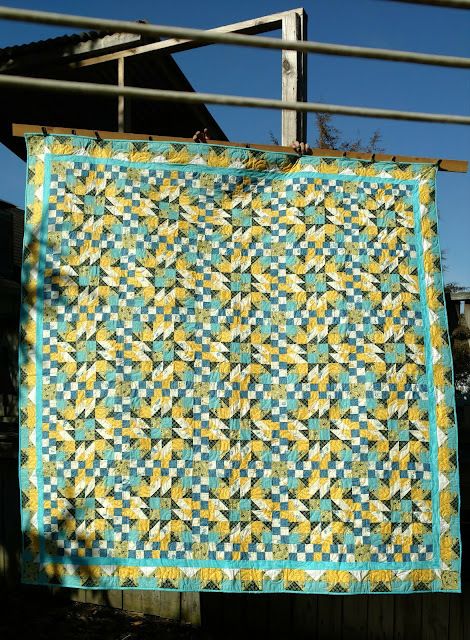 I took advantage of sunshine to take photos of another quiltville mystery quilt finished. This grand illusion is the second one I have done. The first one was in the recommended colors, and, this one, I used Denise Schmidt fabrics. This is my 14th finished mystery quilt with 4 more to go. 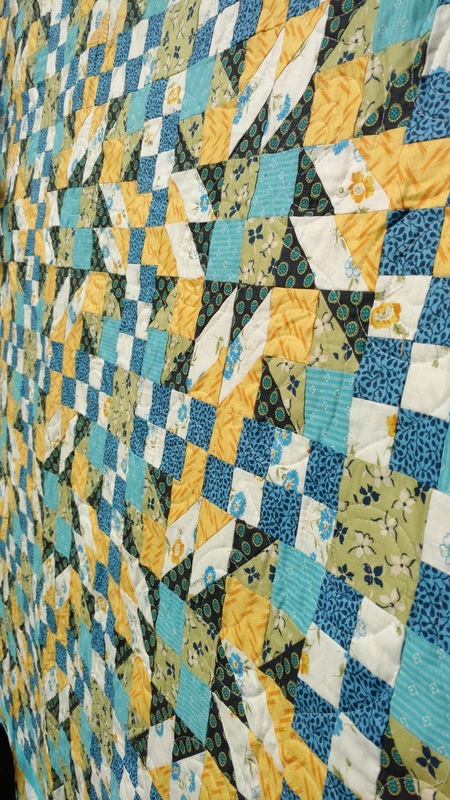 There are only 16 mystery quilts but, I did 2 of 2 different mysteries. To see them go here.